Kids are not naturally self-motivated. When your child’s mindset is not in the right place, even the most fun activities can be a struggle to get to! With that said, here are some strategies to help you work around lack of motivation when trying to get your kid to class. 1. Be attentive to what your child is doing at the moment he/she is supposed to get ready for class. If he/ she is playing or having fun with a friend, then be ready for a battle. With that said, have your child participate in a chore or task that’s not as much fun around 10 to 15-minutes prior to getting ready for class. 2. Be attentive to your own projection of emotions as you get your child ready for class. If you are stressed, rushed, or aggravated in any way, this will project the same emotions on your child. With that said, be sure to project positive and upbeat energy as you are getting your child ready for class. 3. Be attentive to how you respond to your child’s overall performance after class. If you are expressing too much emphasis on what he/she did wrong versus right, then those negative feelings will carry over. With that said, be sure to limit criticism and focus more on productive conversations after class. 4. Be intentional with your goals by communicating with your child’s instructors. The goal is to foster motivation. Let the instructors know about your struggles so that they can be mindful to motivate your child before, during, and after class. It takes a village, so don’t be afraid to ask for support! 5. Prompt motivation by rewarding your child. Remember that children’s brains are still growing, and most of their development comes from positive stimulation and experiences. With that said, pre-frame the proper behavior that you would like to see when going to class, and then set an attainable number of classes he/she must attend with this behavior, along with a reward for doing so. For example: attend the next 3 classes with the proper behavior and we will grab ice cream on the way home. These tips are not rocket science but are often overlooked. As parents, we get caught up in the daily grind, so we sometimes forget that situations like this require attentive and intentional parenting. We hope these tips shed some positive light on how to help your child get ready for class. 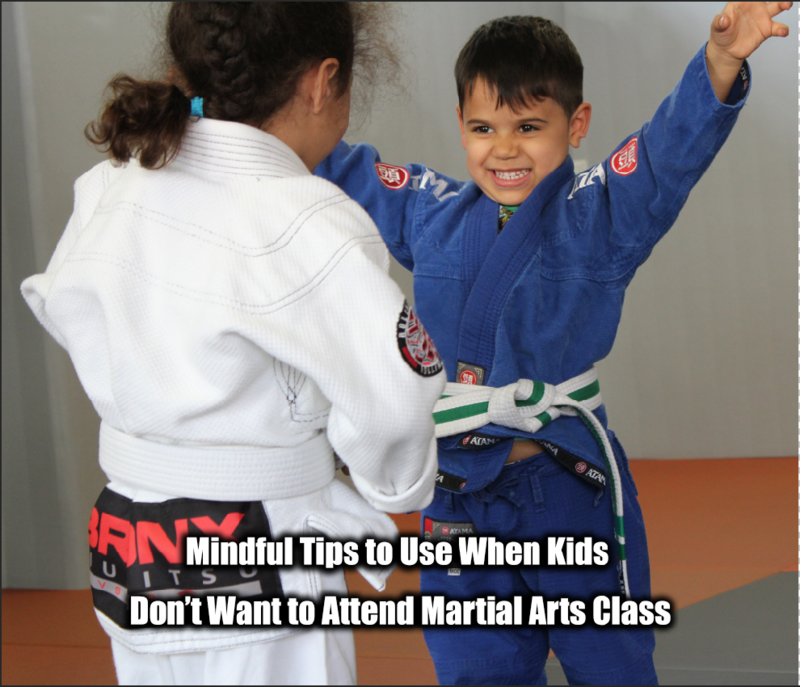 Want more information on how to get you child involved with martial arts? Click HERE for more information.